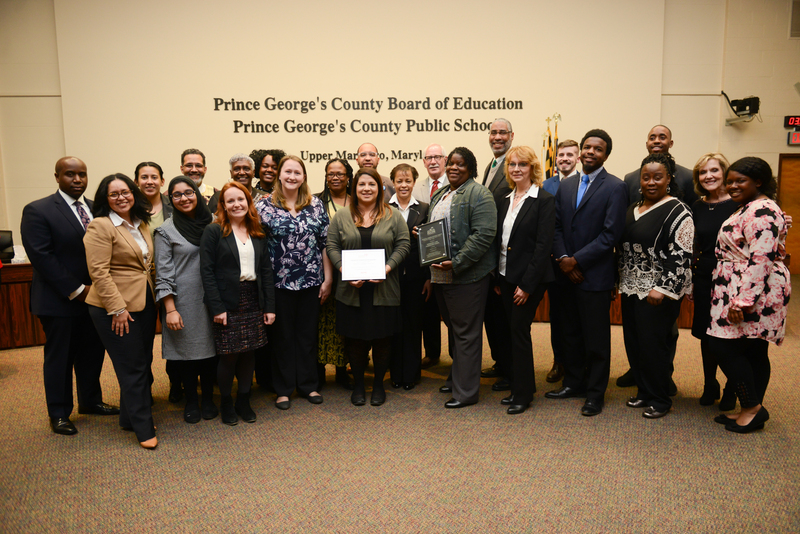 During the February 22, 2018 Board of Education meeting, my Board colleagues and I along with the Alliance for a Healthier Generation Landmark, Prince George's County Chief Executive Officer, Kevin Maxwell and Dr. Adrian Talley, Executive Director of Student Support Services and Chair of the Wellness Council, honored three Prince George's County Schools out of 323 schools nationwide recognized by the Alliance for a Healthier Generation Landmark - Robert R. Gray Elementary, Springhill Lake Elementary and Buck Lodge Middle. 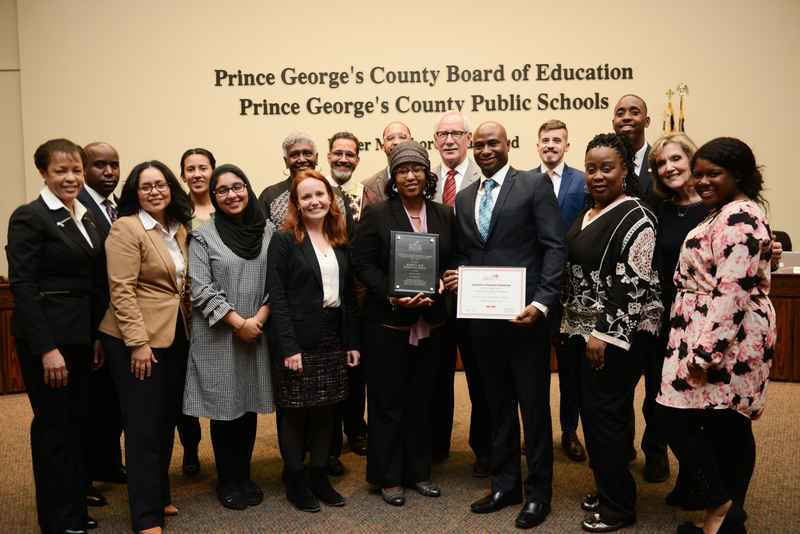 These schools participated in the Healthier Generation's Landmark Healthy Schools Program which is one of the nation's largest school-based childhood obesity prevention initiatives. This program has worked with more than 35,000 schools serving over 20 million students since 2006. 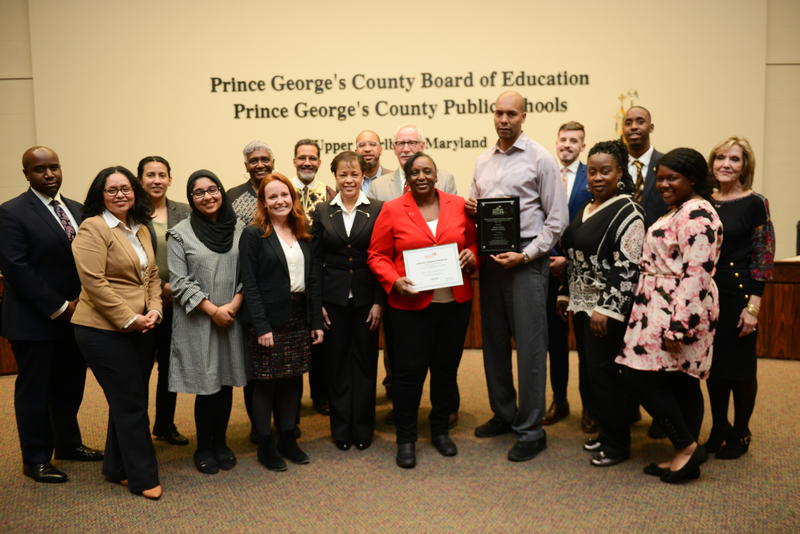 Each of these schools earned their distinction by successfully meeting a rigorous set of criteria for serving healthier meals and snacks, getting students moving more, offering high quality physical and health education, and empowering school leaders to become healthy role models. Thank you Robert R. Gray Elementary, Springhill Lake Elementary and Buck Lodge Middle for leading the way for a healthier generation in our community. Congratulations on a job well done!